I happened to notice NCABC was having a sale on The Quiet Man Irish Whiskey and searched high and low and finally snagged a $25 bottle a few months back. Turns out the search was worth it. This 40% abv Irish Whiskey is matured in Oak Bourbon Casks which may explain why I liked it so much. The aroma was filled with fruit, light pepper, oak, and a sweet citrus note. The flavor had a delicate sweet malt character with light citrus, fruit, pepper, oak, and hints of leather. The finish had just enough alcohol to remind you this was a spirit, but enough residual sweetness to keep you reaching for the glass to take another sip. As far as Irish Whiskeys go this one actually showed some complexity and was quite interesting. It doesn’t appear to be going on sale anytime soon so snag yourself a bottle at full NC retail which is currently $30 and enjoy. Now I’m on the hunt for the 8 year old version! As I continue working my way through the 1792 lineup I find them all to be quite tasty. The latest bottle consumed is no exception. 1792 Bottled In Bond is a lower proof than most of the 1792 lineup at 100 proof due to the BiB designation. The recipe for this is touted for having a high rye content which isn’t readily apparent, but isn’t hidden either. The price of admission according to NCABC is 38 beans, but I think I paid a bit more. The aroma was filled with pepper spice and cinnamon with hints of rye and wafts of alcohol. The flavor was caramel with an oak presence coupled to estery banana and light rye spice. The finish has more of the ester with hints of pepper and cinnamon. For me it was tasty, but I would not run out and stand in line for another bottle. A tad bit high in the ester and alcohol department. It could be each yearly release is slightly different so if I run into another bottle I may pick it up to see if my impression is consistent. So for me it’s a coin toss as to whether you should snag a bottle or leave it for someone else. Probably my least favorite 1792 thus far, but still a tasty glass. I feel like a traitor writing a review of this Scotch. Most of my friends and probably several people who have followed this blog over the years know I am an avid Game of Thrones fan and have been showcasing the beers from Ommegang for a long time. Johnnie Walker White Walker was the first Game of Thrones Scotch release from Diageo and it is a blend which includes single malts from Cardhu and Clynelish. So let’s break it down. It comes in a temperature-sensitive ink technology label (themocromic ink) which reveals a special message when it becomes cold. Serving this Scotch cold. Heck, serving this Scotch room temperature or at all. Also the message wasn’t all that special although I did like they blue eye glow when cold. Make that the ugly truth. This Scotch blows cold. This Scotch blows at room temperature neat. I suspect this Scotch just blows no matter how you try to consume it. I started cold to see the message and thought it would be a miracle if ice cold this was good. It was decidedly not good. It was fusel with citrus notes and alcohol. After warming it was much better, but still fusel with citrus notes and alcohol coupled to caramelized sugar. In the end the $40-50 price point is far too steep a price to pay for a thermal reacting ink bottle of rubbing alcohol. At half the price this is still crap. At a quarter of the price it would still be a hard pass. Do yourself a favor and find something you like more and enjoy that instead of purchasing this. PS: Whoever was responsible for this blend should be introduced to Ramsay Snow (Bolton). I really wanted to love Elijah Craig Barrel Proof Bach A117 ever since it showed up on the local shelf in 2017, but it has not been an easy bottle to embrace. At the time my MO was to first try each Bourbon neat, then with a cube if it wasn’t stellar neat. This one was not remotely acceptable neat as it was alcoholic and with a strong vegetal note. I’ve always liked Elijah Craig, but this one seemed like it needed some work. At 127 proof I expected it to be somewhat alcoholic, but never wanted to smell vegetables. No problem I thought, let’s drop a cube in and see what happens. Unfortunately not enough to tame this beast and make the vegetables go away. Because I didn’t appreciate it neat and didn’t love it with a cube it has languished in the bar for a very long time. Finally I thought to try it with a splash which would proof it down and determined if I used cold, not room temp, water and made the splash approximately 1/4 of the volume I had poured the vegetables went away and the beast was tamed. The aroma with water presented a brown sugar character with leather and oak. The flavor had more brown sugar, but also a nice peppery/cinnamon spice and still an alcohol burn post consumption. I’m glad I found a way to make this work out since I could never bring myself to ditch a 50 buck bottle of Bourbon. Reviews on this from others have been mixed and perhaps not as harsh as my critique. All other 2017 and 2018 releases have garnered rave reviews so this may just be a fluke. It certainly won’t stop me from purchasing more Elijah Craig, but if you somehow happen upon an A117 my suggestion would be to skip it. Happened upon a bottle of 1792 High Rye at a slightly higher price than normal retail and decided to snag it rather than try to hunt for it all over. The typical price in NC is $38, but I don’t recall ever spotting it on the shelf. This one rings in at 94.3 proof and uses a higher than normal percentage of rye in the Bourbon. The aroma is quite nice and filled with peppery rye and brown sugar with hints of sherry and cherries. The flavor is in the same vein with more peppery rye, dark cherries, brown sugar, and lasting low impression of alcohol long into the aftertaste. I’ve seen mixed reviews on this one, but I found it quite enjoyable and easily finished off the fifth without any struggle or second guessing. It is a tad bit sweet and the sherry/cherry presence is a bid overdone, but if I could snag bottles at NC retail I would keep it nearby most of the time. If you happen upon it, grab one and give it a whirl. It’s certainly worth a try and falls right in line with the NC price point. I was lucky enough to score a bottle of Shenk’s at a NC ABC store by locating it using their online search. A buddy picked up the $40 bottle and it took awhile for me to pick it up. The reviews were very good and the secondary market pricing was fairly high so I went in with great expectations. This 2018 release was bottle 2560 of 2691 and batch 180322. The 91.2 proof Bourbon was estery when first opened with a strong banana presence. That seemed to lessen as the bottle found shelf time and became more pronounced of alcohol with brown sugar and citrus. Lurking just behind was oak with a hint of funk and leather. The flavor was muted with oak and that subtle hint of funk with more brown sugar and a bit of pepper spice. Alcohol never lets you forget it is there with an aftertaste of oak, pepper, sugar and a lasting burn which only fades after more than a minute in the mouth and much longer in the throat. While it isn’t hot, it is alcohol centric which I actually found slightly off-putting. At $40 it seems just a bit over priced and I would not want to shell out more. On the other hand this is a more or less seasonal release from Michter’s so a 2019 could be a different animal. If you see it and it’s reasonable priced it might be worth a whirl. It’s not a favorite, but the cost of admission isn’t too extravagant so try it if you find it. It might just be your cup of tea. Not long ago NCABC put Slane Irish Whiskey on sale for $28 so I decided to snag a bottle. From what I can gather the whiskey is blended from malt and grain whiskey and matured in three different casks including Bourbon, Tennessee Whiskey, and Sherry. The age is unknown, but at least three years to be Irish Whiskey from Ireland. While some reviews seemed mixed I found it to be quite delicious. (Please note I find almost everything aged in Sherry to be delicious.) It is sweet on the palate as are most Irish Whiskeys, but had a nice backbone of oak and hints of delicious Sherry. It has a mild aroma and flavor of leather and despite being on the sweet side is balanced by the oak and barrel aging. The only hints of alcohol are post consumption and the dark fruit flavors make this quite delicious although not especially complex. I know if I find it for $28 or less it will find it’s way back home again. Give this one a whirl, I think you will enjoy the ride. Some time back I happened upon a bottle of Wake County ABC 1792 Single Barrel on display and grabbed the $40 bottle figuring I could circle back and snag another at some point in the future. The 98.6 proof Bourbon is plentiful so I wrongly assumed it would be simple to snag another at some point in the future. After contacting Wake ABC and some missteps I learned it was actually a pick from late 2014 which was out in 2015. The bottles on the shelf in 2018 were some found in the warehouse and distributed to a single store. So while 1792 Single Barrel is plentiful the Wake County ABC pick is over and done. This crazy beautiful Bourbon was stellar and worth every single penny. The nose resonated with light pepper, cinnamon, and brown sugar with hints of oak. The flavor was delicious with leather, pepper, cinnamon, brown sugar, caramel, and finish which is just off dry with lasting impressions of all the spice and malt long into the aftertaste. The alcohol is just present enough to let you know it was there and hidden behind the flavor to never be overwhelming. 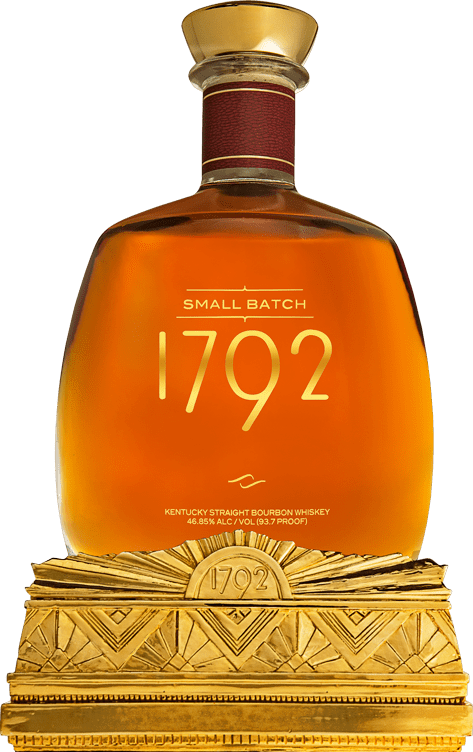 If possible I would snag all of this I could find, but because it is now MIA all I can do is urge you to seem out other 1792 Single Barrel picks in search of another bottle which might be similar to the Wake County pick. A truly incredible Bourbon which was worth every penny of the price of admission. Yet another deal on Scotch surfaced when Glen Moray Single Malt Sherry Cask Finish went on sale at NCABC for $25. Very similar to the Port Cask Finish the Sherry Cask Finish starts on the sweet side and then exhibits oak and leather. I expected this to have more Sherry character, but those flavors were muted in the grand scheme of this whisky. Oak and chocolate dominated with leather and cinnamon spice following up behind. The 40% ABV alcohol was not hidden either, but never became hot. What this was missing was complexity, but at 25 beans I can overlook the lapse of character. This was smooth and easy to drink, but unlike the Port Cask I will probably not revisit it in the future. I would suggest you try this for yourself as the oak and leather might be just what the Doctor ordered. After the collapse of the barrel house at 1792 in Kentucky, I figured it was time to pick up some before they increased the price. The first bottle opened was 1792 Small Batch. With a price point of $30 this bottle is an affordable drop. The 93.7 proof Bourbon is higher than most Small Batch Bourbons on the market with the exception of those Bottled-in-Bond. The nose is filled with brown sugar, caramel, leather, and oak with hints of spice. The flavor has a distinct flavor of brown sugar and caramel, and though it has initial sweetness it soon dries with leather, oak, and alcohol. The aftertaste is light oak and leather with a long slow warming which reminds you this Bourbon has a slightly higher than normal proof. If you don’t have a bottle of this in your bar you should snag several. While not the most complex Bourbon on the block the affordable price point coupled to the aroma and flavor attributes make this a Bourbon you should have. Go get some and give it a whirl!